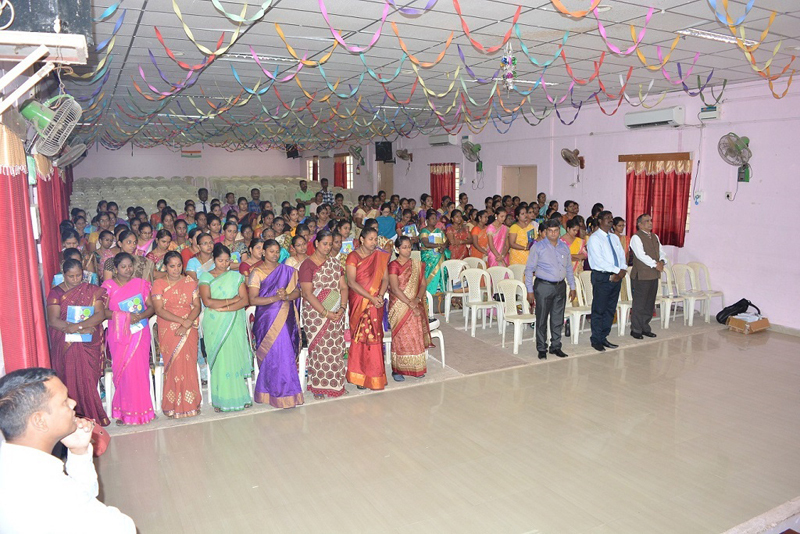 Madhubun Educational Books organised a workshop for the Teachers of St. Joseph’s Matriculation Higher Secondary School which comes under The Blue nail Group of Schools, Chennai on 4th August 2018. The topic of the workshop was ‘Classroom Management and Teaching Methodology’ which was conducted by Mr. Balasubramanian. About 210 teachers attended the workshop. The Teachers actively participated in the workshop and found it very useful. The Topics were very apt as it is the need of the hour. The Management found the workshop very informative and beneficial for their Teachers. They were extremely happy and thanked Madhubun for organizing Bala Sir’s workshop in their school.